Mr. Goldstein is offering a free telephone consultation for Divorce Angels users. The GOLDSTEIN Divorce & Family Law Group represents clients in a variety of family law matters, including divorce, separation, child custody and access, child support, spousal support, property division, grandparents’ rights, and restraining orders. Allan Goldstein is the founder of GOLDSTEIN Divorce & Family Law Group. He graduated in 1989 with a business degree from McGill University before obtaining his law degree from the University of Ottawa in 1993. 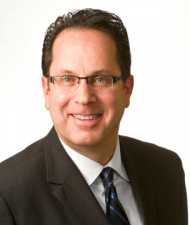 After spending the first few years of practice with a downtown Toronto law firm where he gained valuable experience in civil litigation and family law, Allan ultimately felt that his talents were best used by starting his own family law firm. Since 1998, Allan has focused his practice exclusively in the area of Family Law and he has now handled thousands of cases. Allan will try hard to assist his clients to reach a negotiated settlement if at all possible. However, he will go to court if necessary and can be a fierce advocate in court when the need arises. He has extensive experience in all areas of family law including the area of domestic violence. Allan has sat on the board of directors for a Toronto woman’s shelter and volunteers his time speaking about family law at shelters and community centres in the Greater Toronto Area. Allan regularly appears at various courts throughout the Greater Toronto Area and has made appearances at the Ontario Court of Justice, Superior Court of Justice and the Ontario Court of Appeal. For those clients who want to pursue an alternative to litigation, Allan Goldstein also has experience as a Family Law Mediator, having received training in interest based mediation. With nearly 25 years of experience practicing family law, Allan Goldstein gives clients sound legal advice, negotiates and prepares documents and agreements represents you in court, mediations, and other legal proceedings. He is committed to providing the highest quality of legal care and dedication, tailored to meet the individualized needs of each client. Allan is a kind and caring lawyer and his approach is to make every effort to find a negotiated resolution to family disputes. However, when litigation is necessary, he is also a strong, skilled and persuasive advocate. Looking after his clients is what Allan does best. Through years of experience and passionate advocacy, Allan has earned the respect of other Ontario lawyers as well as Ontario judges.